The PBGS AGM will be on Tuesday, 29th November 8pm at Streatley Village Hall, Streatley. To keep PBGS a dynamic Society and take us forward into our next 40 years, it's vital all members come along and have their say! 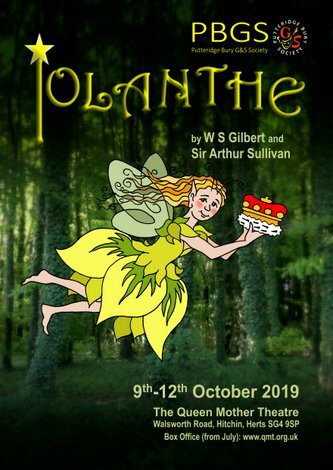 Our next show will be Gilbert and Sullivan's Iolanthe with a launch night on Tuesday 2nd April at 7.45pm, Streatley Village Hall. Please contact paulafras@aol.com if you want more information or would like join us for this production. See our Contact Us page for directions. New members are always welcome - just come along and introduce yourself to any member! Congratulations to our new Life Member, Teresa Newham! 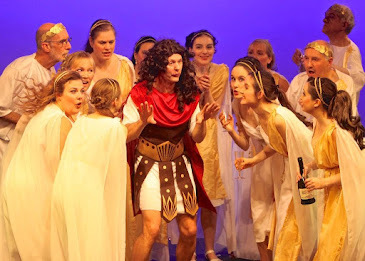 PBGS are delighted to announce that our fabulous Plaza Toros, Nigel Harvey, Bryony Reynolds and Elizabeth Bottone have won the Noda East District 3 Award for Best Duo/Trio in a Musical for the Duke and Duchess of Plaza Toro and their daughter Casilda in our Spring 2018 production of 'The Gondoliers'. PBGS would like to invite you to join us as a patron. This is an excellent to way to support our society and it has its benefits! Find out more about our Patron Scheme here. 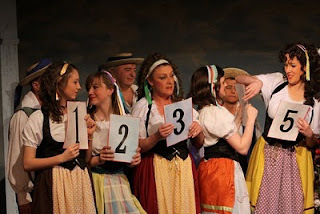 Putteridge Bury G&S Society, or PBGS for short, is a NODA affiliated amateur operatic society specialising in the works of Gilbert and Sullivan, but also performing operetta and musicals. Affectionately know as Putt, we have been performing quality musical shows in South Bedfordshire and Hertfordshire since 1971. PBGS has a wealth of vocal talent, and have performers available for full concerts or as smaller groups of soloists to fit your occasion or venue. We regularly raise money for both Society funds and for charity and can adapt a programme to fit your needs. For more information click on the Concert Hire tab above, and on the Contact Us tab to discuss a programme. 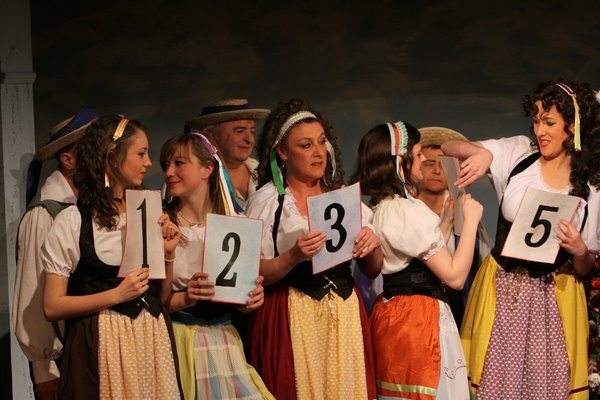 Written by member Paula Fraser, this show is a fast-paced romp through the main themes of all the Gilbert and Sullivan Operettas. Performed as part of the 2011 Buxton International G&S Festival Fringe, it can be performed in small venues, or expanded and adapted to larger ones. If you are interested in the G & S Sketch Show please click on the Contact Us tab above. © Putteridge Bury Gilbert and Sullivan Society. Picture Window theme. Powered by Blogger.